A Modernist cocktail table. 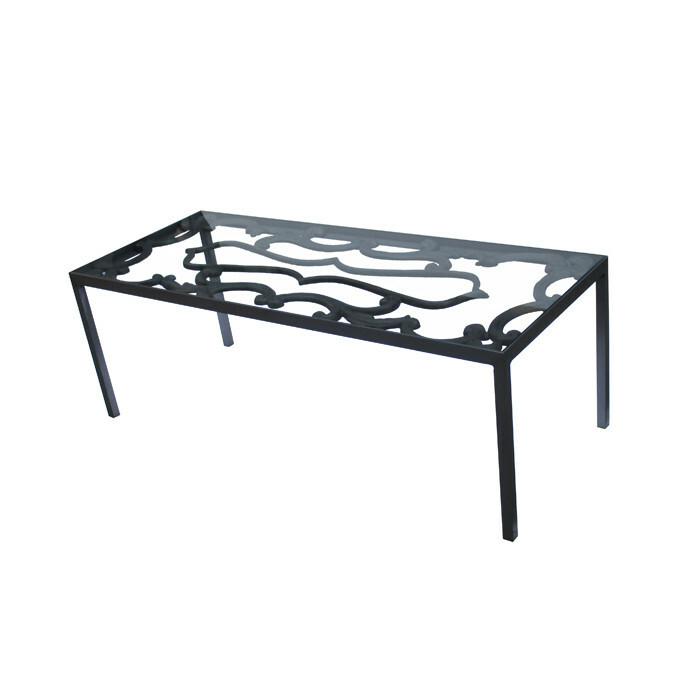 Steel frame with cast iron center deatil and a clear glass top. Dimensions: H:18 W:52½ D:20½ Inches.